It's official. 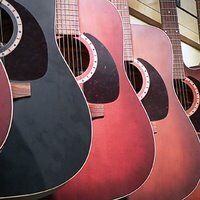 The Acoustic Cafe in Nederland has placed itself for sale. After struggling over the last few years and closing for a short period, the assets of the business including its name, equipment, and leasehold will be sold this Sunday April 30th. Founded by Tom Plant and Dawn Dennison in 1994, the Acoustic Cafe was created to bring some of the best bluegrass, old-time and folk back to the mountains. Owners since 2001, Chris and JP O'Brien purchased the Acoustic Coffeehouse to carry on the tradition. Recently renovated, it's now ready for it's next adventurous owner. p.s. As you may have noticed, it's been a few days since we've posted. As we move into summer, there could be more pauses in our blog posts. Region wide, this is the time of year when the market really starts to pick up steam. Our first priority is always to our clients and over the last few days we've had a couple of closings (I also celebrated a birthday). Our calendar in May is already shaping up to be a busy month as well.